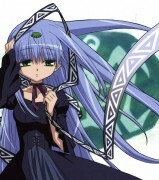 Tagged under Erementar Gerad, Green Eyes, Ribbons, Long Hair, Edel Raid, Waifu, Blue Hair. Ren is an Edel Raid that is a direct descendant of the Metherlence bloodline and is also one of the Seven Glittering Jewels. 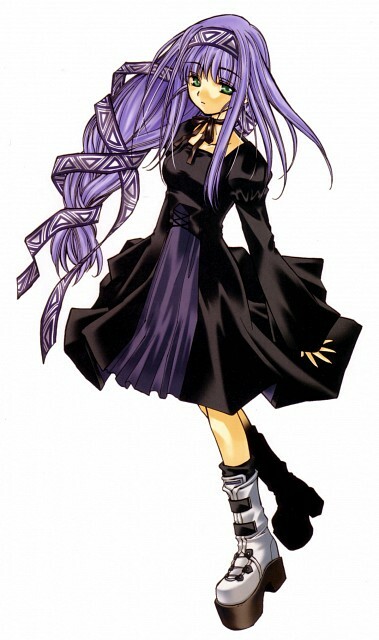 Her elemental gelade is on her hair above her forehead and is covered by a long strip of ribbon. Ren's elemental power is wind, which she best uses both defensively and offensively. Because she recharges her powers by sleeping, she has a tendency to doze off. After she is discovered by Coud Van Giruet during a loot raid, he becomes her Pledger (the human who bonds with an Edel Raid) and together they search for the Edel Garden.